CHICAGO – Hannover Fairs USA, the organizer of DOMOTEX USA, today announced that it has partnered with Emily Morrow Home to host a designer panel and lunch during the inaugural floor covering trade show’s breakout sessions from 11:30 a.m. -1:00 p.m. on March 1, 2019. As a member of DOMOTEX USA’s advisory board, Emily Morrow Finkell, CEO and founder of Emily Morrow Home, has been active in attracting designers to the new show. 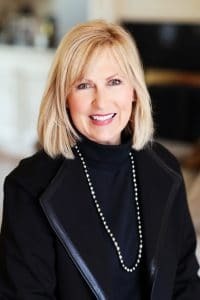 The panel discussion was spurred by Finkell’s passionate involvement with the interior design community, along with the success of her company’s 2018 designer event. To register for the panel and lunch, go to https://domotexusa.com/reg/. The theme of the event, Design is a Journey, is reflective of Finkell’s recent travels to Africa and the ever-evolving importance of designers in the advancement of residential and commercial interiors. As moderator of the panel, Finkell will lead discussions that address the changing landscape of interior design and the role of designers in the new millennial age. Insights on current and future trends will also be shared, with topics going beyond color, material and style to include macro trends like urbanization and visualization technology. Attending retailers will have the opportunity to ask questions and network with panel designers, includingMark Woodman of Mark Woodman Design + Color, LLC, Brownlee Currey of Currey & Company, Loretta Willis of Loretta’s Interior Design, LLC, and Mollie Surratt of Mollie Surratt Marketing and Interiors. In addition to hosting the event, Emily Morrow Home is exhibiting at DOMOTEX USA 2019. The company will launch an adventurous collection of luxury hardwoods inspired by Finkell’s journey across Africa and the spectacular images she captured of the great Wildebeest migration and the continent’s magnificent landscape. Emily Morrow Home is a leader in the American hardwood flooring industry. 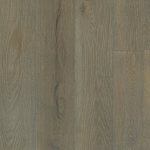 Founded by Emily Morrow Finkell, they offer a to-the-trade resource of exclusively designed hardwood floors along with other home fashion accessories. 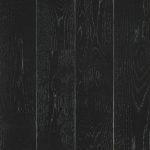 Finkell is a member of the NWFA (National Wood Flooring Association); NWFA Verified from U.S. Renewing Forests; California Environmental Protection Agency Air Resources Board; Allied Member, American Society of Interior Designers; CMG; and SCS Certified Indoor Advantage Gold. Her home flooring products are certified Made in Tennessee and Made in USA. For more information, visit www.emilymorrowhome.com or Facebook, Twitter, Pinterest, Instagram, Google+.